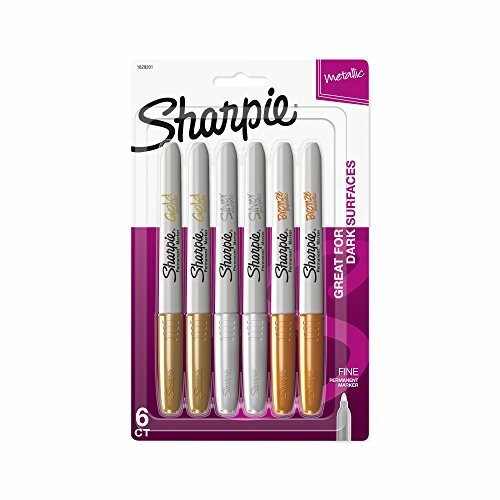 Sharpie Metallic Fine Point Permanent Marker, Pack of 6 — Deals from SaveaLoonie! No shaking or pumping needed to get the marker started- simply uncap and write. 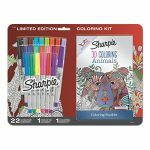 Made with specially formulated, opaque, permanent ink, this marker makes a permanent impression on light and dark surfaces. Contains 6 pens two each of gold, silver and bronze. 2.875 inches long by 4.187 inches wide by 5.625 inches high. 0.83 pounds. Made in the USA.